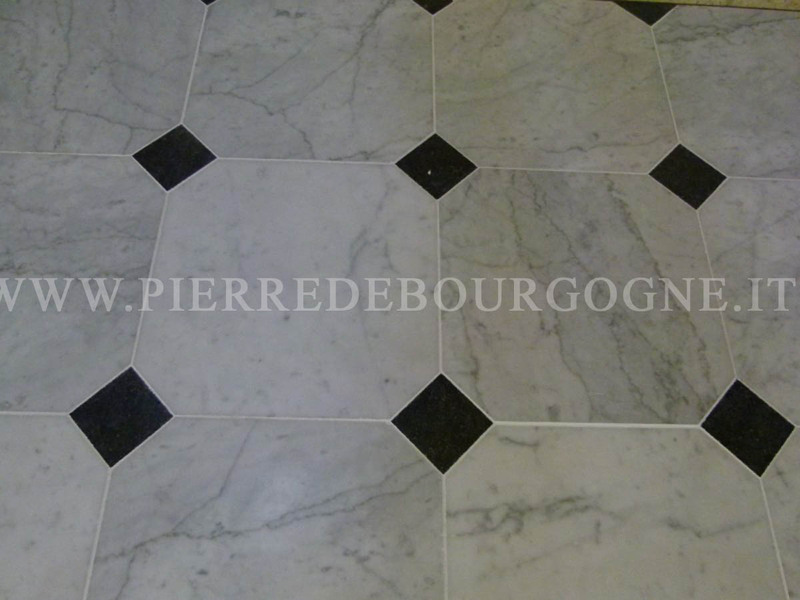 Floor with octagons in "Carrara marble" from cm.30x30 and insert in "black marble" cm by 7 cm. Small Stock of about 40 square meters. Visible stock in our showroom in Forte dei Marmi Via U.K. Vico 63 (Tuscany) Italy.